RK’s leadership team includes experienced experts who guide RK toward fulfilling its vision. Rick L. Kinning is the Chairman and CEO of RK. Having worked in the family business since 1977, Rick transitioned from part-time employee to majority owner in 1985 when RK was incorporated. Under Rick’s leadership, RK has rapidly and organically grown into the region’s largest full-service merit shop mechanical contractor. RK proudly employs thousands of employees, and building upon Rick’s 30+ years of entrepreneurial experience, the company has diversified into seven business units that deliver facilities services, steel fabrication, energy services, water treatment and electrical expertise. RK has been recognized as one of Colorado’s Healthiest Places to Work and one of Colorado’s Best Places to Work by the Denver Business Journal among numerous other accolades. Rick currently serves on the boards of the University of Colorado School of Medicine’s Assistive Technology Partners, Concert for Kids, Customer Advisory Board for UMB Bank, Silver Bullet Corporation and Water Ion Technology. Rick is a licensed Master Plumber with active contractor licenses in several States and communities. 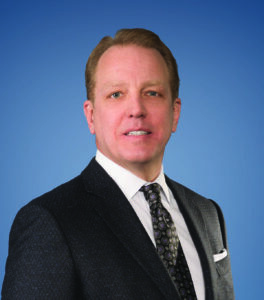 Jon L. Kinning is Co-Owner, Chief Operating Officer and Executive Vice President at RK. 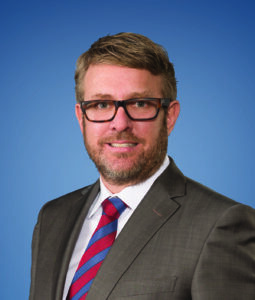 Prior to his tenure at RK, Jon worked as a licensed broker for CB Richard Ellis. In 1998, he established the commercial RK Service business unit and continues as its President. Jon also serves as Managing Partner for Kinning Holdings, a real estate holding company established in 2000. Additionally, Jon is the President of the RK Foundation, which was founded in 2011 to support nonprofit and public causes within RK’s community. Jon has a passion for education and workforce development. He serves on the boards of the Metro Denver Chamber of Commerce Executive Committee, the Metropolitan State University of Denver Foundation and Emily Griffith Technical College. He is a founding and board member of the Green and Gold Foundation, an active member of the Colorado Chapter of the Young Presidents Organization, and on the Advisory Board for Alliance for Choice in Education (ACE Scholarships). He is also a Council Member for the Denver Public Schools CareerConnect program and is a graduate of Leadership Denver 2014. He holds a BSBA with an emphasis in Finance and Real Estate from Colorado State University. Jon received an MBA from the University of Denver and is LEED AP BD&C accredited. Dave Albertsen: Vice President of Operations for RK Mechanical, a business unit of RK. 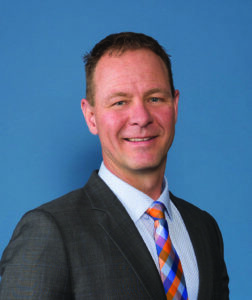 Dave Albertsen is Vice President of Operations for RK Mechanical, a business unit of RK. Dave has been in the construction industry his entire career, with over 35 years of experience. He joined RK in 1993 as a Project Manager and was promoted to his current position in 1995. Dave has actively managed several projects and has led Operations in amassing a $1 billion diverse project portfolio, which includes healthcare, high rises, data centers, laboratories, government, hospitality, industrial, education, municipal and office construction projects. He has strong and detailed expertise in project planning, scheduling, labor productivity and cost control as well. From 1985 through 1993, Dave was with Green International, Inc., where he worked for a general contractor and provided leadership in planning, managing and supervising all construction activities. He was an integral member on project teams that created projects in Oregon, Colorado, Nevada and Arizona. Dave has a B.S. in Construction Engineering from Iowa State University; he is also a LEED accredited AP. Brandon Evans: Vice President and General Manager of RK Energy, a business unit of RK. Brandon Evans is Vice President and General Manager of RK Energy, a business unit of RK. He has been with RK since 1990. As RK Energy has emerged in the oil and gas marketplace, Brandon’s tenacity and focus on metrics – and customer satisfaction – are helping this unit gain a strong foothold in the energy industry. Brandon previously served as the Vice President of Corporate Resource Management for RK Mechanical. Over the years, he has worked on many high profile projects including the St. Anthony Hospital in Lakewood, CO; the National Institute of Standards and Technology Expansion Phase I in Boulder, CO; Leprino Foods in Greeley, CO; the Four Seasons Hotel and Residences in Denver, CO and the Vail Ritz-Carlton Hotel and Residences in Vail, CO, among others. Donnie Hirschfield: Vice President of RK Steel, a business unit of RK. 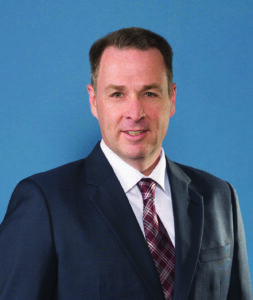 Don Hirschfield is Vice President of RK Steel, which provides a wide range of structural and miscellaneous steel fabrication and installation services for projects and around the world. Donnie started at RK in 1994 and has worked in various positions including Vice President of Operations, Operations Manager and Project Manager. 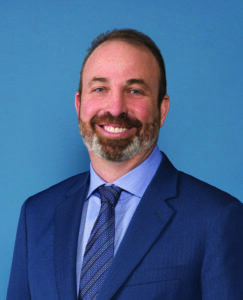 He has served as a leader on projects including St. Anthony Hospital in Lakewood, CO; the National Institute of Standards and Technology Expansion Phase I in Boulder, CO; Leprino Foods in Greeley, CO; the Four Seasons Hotel and Residences in Denver, CO and the Vail Ritz-Carlton Hotel and Residences in Vail, CO.
Donnie is a board member for the Colorado Advanced Manufacturing Alliance (CAMA), a volunteer board member for the Adams County Economic Development (ACED) and a member of the Rocky Mountain Steel Construction Association (RMSCA). He received a B.S. in Construction Management from Colorado State University. Marc Paolicelli is Chief Customer Officer (CCO) at RK. Marc is responsible for leading the RK Experience, which is designed to create a consistent and unified customer-centric approach throughout all RK business units, departments and job positions. Marc oversees all corporate business development and is involved in corporate future planning, sales, marketing and communications. He also leads RK’s outreach efforts to include small and disadvantaged businesses. Marc has executive oversight of client relationships and interactions with RK’s internal project teams in order to facilitate communication, collaboration and project success. Marc has been with RK for over 19 years and has 30 years of construction industry experience. Marc has been instrumental in overseeing prominent RK projects and business deals on a local, national and international basis. He has been a leading force on major Denver metro area projects including the Rocky Mountain Regional VA Medical Center; Gaylord Rockies Hotel and Convention Center; Denver International Airport; St. Anthony Hospital; Denver Union Station Crawford Hotel and the Four Seasons Hotel and Residences. He attended Kean College of New Jersey in Union, New Jersey where he studied Industrial Technology, specializing in Mechanical Contracting and Construction Management. He gives back to the community in many ways and is currently Board Chairman for The Leukemia & Lymphoma Society, Rocky Mountain Chapter. Jeff Gucker: Vice President of RK Water, a business unit of RK. 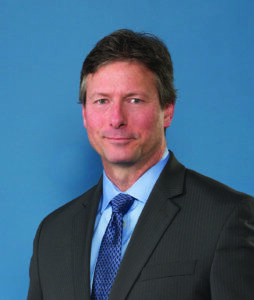 Jeff Gucker is Vice President of RK Water, a business unit of RK. 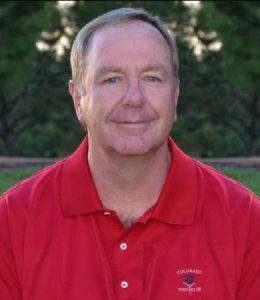 He has been with RK since 2005 and has over 30 years of experience in the mechanical contracting and service industries. Jeff has helped RK Water diversify to include a broad array of commercial and industrial water treatment solutions, as well as groundwater treatment for early-stage construction projects. 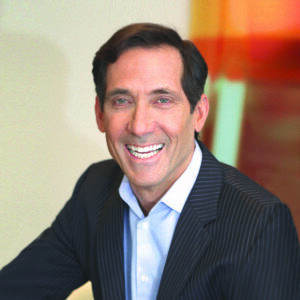 Jeff began his career by leading projects for Fortune 500 pharmaceutical companies, serving in various high-level capacities, including President and Vice President. He is dedicated to operating a high-performance water treatment and technology manufacturing facility that delivers outstanding customer service delivered in a safe manner with the highest quality and technical expertise possible. Jeff holds a BS in Materials Engineering from Virginia Tech. Robert Marceau: Vice President of Preconstruction for RK Mechanical, a business unit of RK. Robert Marceau is the Vice President of Preconstruction for RK Mechanical, a business unit of RK. He has been with the company since 1996 and was an Operations Manager prior to being promoted to Vice President of Operations (his former position). Rob brings over 19 years of experience in the construction industry. Rob is in charge of the preconstruction team, including account management, preconstruction engineering and estimating. Having also served as the VP of Operations, he is very experienced with every phase of the construction process and now serves as a critical link between RK’s Precon and Operations teams to ensure collaborative project performance. He has worked on many projects for RK, including the Rocky Mountain Regional VA Medical Center; the Four Seasons Hotel and Hyatt Regency Hotel at the Denver Convention Center; the Ralph L. Carr Judicial Complex in Denver; the Ameristar Hotel and Casino in Black Hawk, CO, and the Charles Schwab Corporate Campus in Lone Tree, CO. Rob also led international on-site management of the U.S. Embassy project in Berlin. Rob is a graduate of Colorado State University with a B.S. in Construction Management. John Marrinucci: Vice President and General Manager for RK Mission Critical, a business unit of RK. 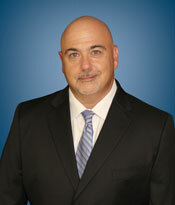 John Marrinucci is Vice President and General Manager of RK Mission Critical, a business unit of RK. He is responsible for developing innovative strategies that create sustainable competitive advantages, establish market share and provide strong industry leadership for his team. John is a hands-on, influential leader with over 30 years of experience developing and executing successful business transformations and delivering exceptional growth in private, public and private equity technical and industrial companies. 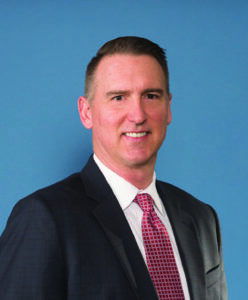 He has a history of scaling businesses in both the start-up and established stage and has held executive level positions at C-B Sales and Service, Holman Boiler, Worth and Company, Crane Environmental and GAI-Tronics Corporation. John is passionate and driven to attain excellence and to motivate those around him to their highest levels of performance. He holds an M.B.A. from the Wharton School of Business at the University of Pennsylvania, a B.S. degree from the United States Naval Academy and is a Lean/Six Sigma Master Black Belt. John is a qualified Navy Nuclear Engineer who served in the United States Navy on a fast attack nuclear submarine. Rob Cheney: Vice President and General Manager of RK Electrical, a business unit of RK. 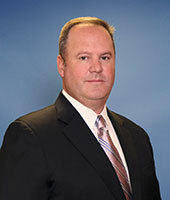 Robert Cheney is Vice President and General Manager of RK Electrical, a business unit of RK. He is responsible for developing and executing the long-term business vision and strategy for RK Electrical in accordance with RK’s overall company strategy. Robert has full P&L responsibility and has built the RK Electrical team. He collaborates with other company business leaders and sales to develop and execute cross-functional commercial and operational initiatives, ensuring achievement of customer requirements, company goals and KPIs, including safety, employee retention, revenue growth, profitability, customer satisfaction and quality. Robert started with RK in July of 2017. He has worked in the construction industry since 1996 and has an impressive and diverse background. Robert has noteworthy experience working for large companies including Ludvik Electric, where he served as President, NOVACES, Amata, Western Industrial Contractors, Integrated Project Management and Chrysler. Robert has a B.S. degree in Mechanical Engineering from the University of Toledo and he is a certified Project Management Professional (PMP). He is on the Steering Committee for Déjà vu Rendezvous, a member of El Jebel Shrine and on the IECRM Board of Directors. Gretchen Meyer is Vice President of Human Resources for RK. Gretchen oversees all areas of human resources for RK, from talent acquisition and organizational development to performance management, compensation and benefits, as well as other essential HR functions. Gretchen also leads RK’s initiatives that support a strong and supportive workplace culture that focuses on employee experience, promotes customer service excellence and drives future business growth. 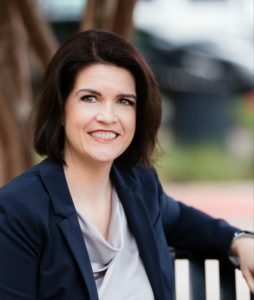 Gretchen brings more than 20 years of human resources experience to RK, having previously served in Global HR leadership roles for Alcon Laboratories and Lockheed Martin. Gretchen’s background is in talent movement, professional work environment and culture development and strategic acquisition in the trades, manufacturing and supply chain fields. Gretchen has a B.S. degree in Business from the College of Saint Mary’s in Omaha, Nebraska. Kevin Disotelle: Divisional President and General Manager for RK Mechanical, a business unit of RK. Kevin Disotelle is the Divisional President and General Manager for RK Mechanical, a business unit of RK. He joined RK in June of 2018 and came to us with an impressive 27 years of experience in the mechanical construction industry. Previously, Kevin served as President at The Kirlin Group, where he was responsible for the overall operations. He was employed with them for over 22 years progressing from a Project Engineer to Vice President before becoming President. Kevin earned his degree from the University of Kentucky. He is highly skilled in operations, people and process improvements, including scheduling, HVAC, value engineering, contracts, project estimation and business development. Terry Bates is the Vice President of Finance and Chief Financial Officer for RK. He is responsible for managing RK’s financial and information technology teams and plays a central role in the successful strategic and operational growth of RK. Terry has a successful track record creating shareholder value through building and executing a sound strategic plan, building efficient processes, delivering sustainable growth and improving financial results. Terry started with RK in December of 2018. He is an accomplished CFO with extensive experience in finance and operations. 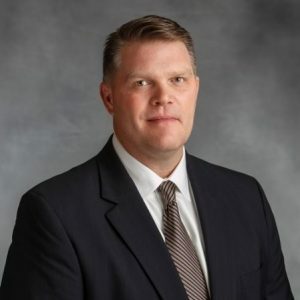 Previously, Terry served as Chief Operating Officer and Chief Financial Officer for Kwik Tek, Inc. where he streamlined more efficient processes in multiple departments and also successfully integrated two acquired businesses. His experience also includes helping Orange-Glo International (makers of Oxi Clean), Kaboom and other household brands turn into significant profitable businesses. Terry spent seven years of his early career with what is now PricewaterhouseCoopers as a Senior Manager in corporate finance and audit. Terry earned a Master’s of Accounting and Bachelor of Business Administration from the University of Michigan, Ann Arbor. He is a licensed Charted Global Management Accountant (CGMA) and Certified Public Accountant (CPA).